Ursula is such a Diva, it’s so cute. 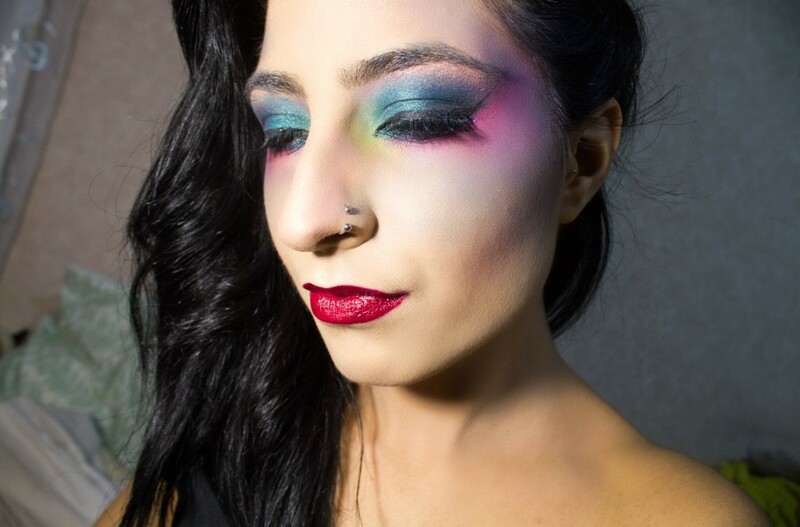 The main palette that I used for this look is the KAT VON D Mi Vida Loca Remix Palette ($59 USD). Let me tell you guys, I am OBSESSED. 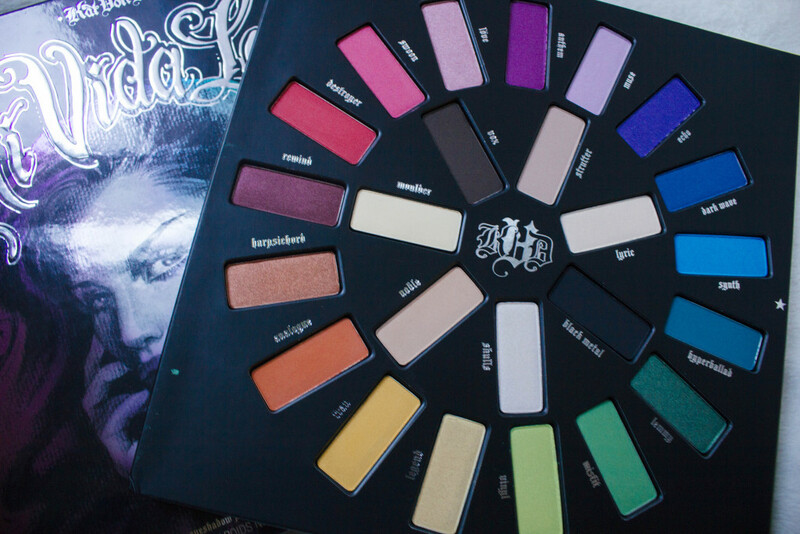 It’s so beautiful, the colors are SO pigmented. I used the following shades: Hyperballad, Echo, Muse, Vinyl and Anthem. They’re so blendable as you can see in the look. The palette has such a cool look to it as well. It’s beautiful. Maybelline Color Tattoo in Edgy Emerald— to set Hyperballad into place and add a little shimmer. MAKE UP FOR EVER Flash Palette—to make my foundation lighter. I didn’t want to make my entire face a slate purple but I still wanted to give myself a “gray” look. MAC Cosmetics Lipstick in Russian Red and Rebel—I mixed the two to achieve a berry red color. Urban Decay Electric Palette—I used this to add more color on my cheeks and my contour. I did a purple contour because Ursula is purple so I wanted to give that effect on my cheeks and my temples. This look was super fun to do. 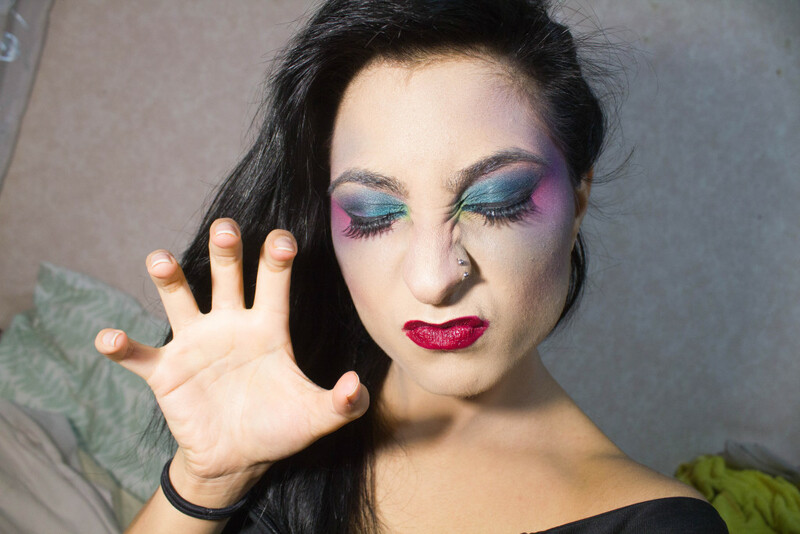 Halloween is honestly one of my favorite holidays just because I get to test out cool makeup. It’s a great way to brush up your makeup skills and techniques. I haven’t played with color in so long; October gives me an excuse to have fun with it. 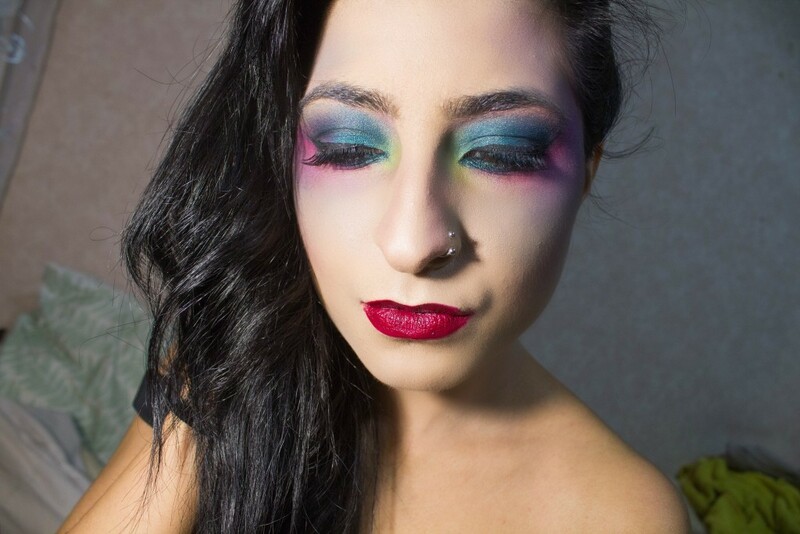 The Kat Von D palette is seriously amazing to create looks with and it’s also great for everyday makeup looks. I’ll definitely be using this palette a lot for future looks. If you’re not ready for bright vivid color but want this palette, it has neutrals in the center which you can play with too. Eventually you’ll be inspired to leave your color comfort zone! 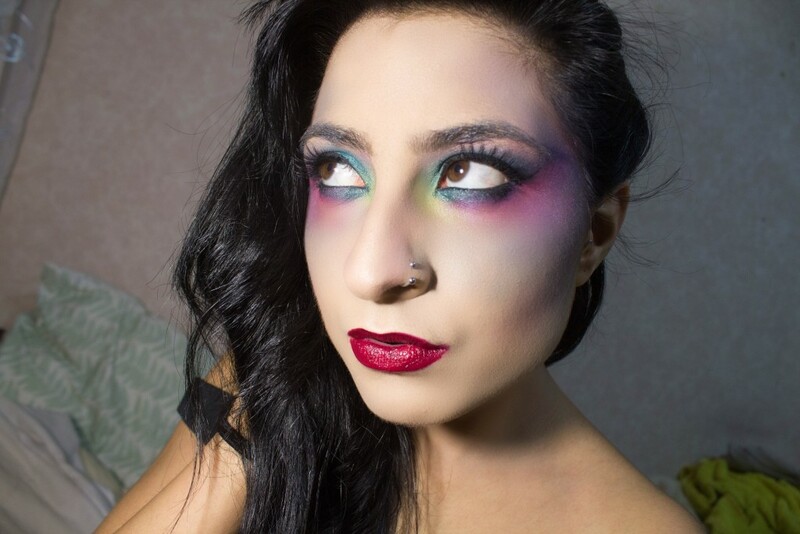 I hope you recreate this look for yourself and definitely let us know what else you come up with! Super colorful! I love it! 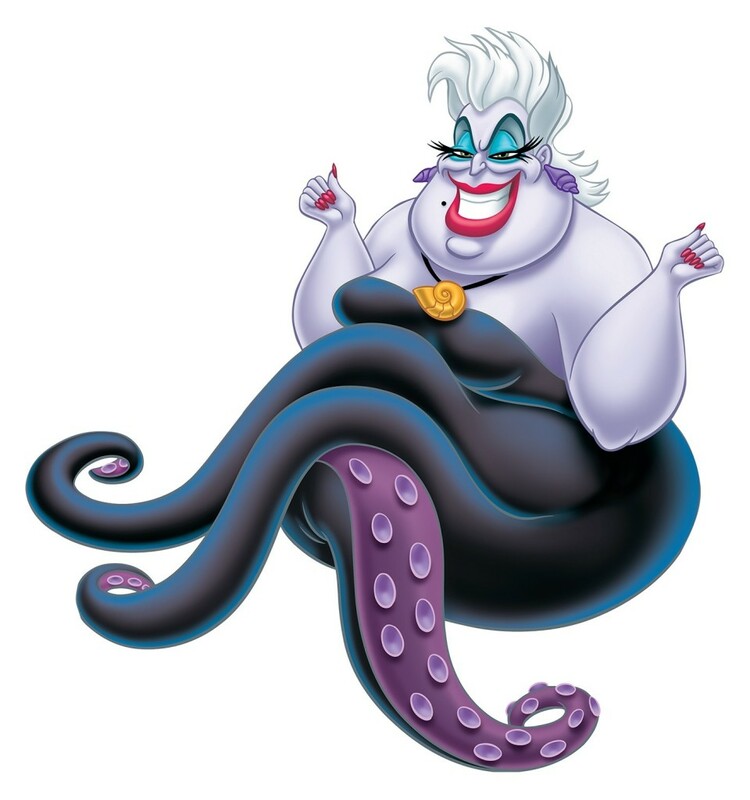 Ursula is quite a diva – so she’d make a pretty fun Halloween costume!